TIGI Catwalk Camera Ready - Shiner and Defrizzer Shiner and Defrizzer for silky, shiny, smell so�good hair! Mist TIGI Catwalk Camera Ready evenly where desired on wet or dry hair. 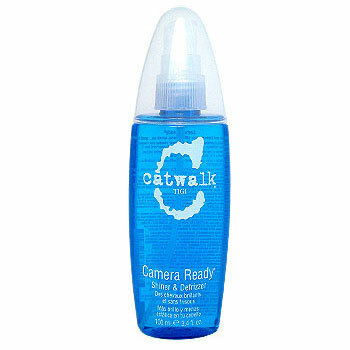 Mist Catwalks Camera Ready Shine Spray through your hair and watch it as it banishes negative frizz and fly-aways to create smooth, silky hair that shines to the max!